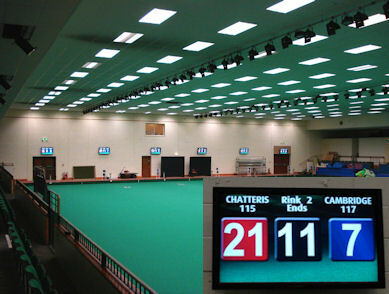 ESU offer both indoor and outdoor bowls scoreboards. 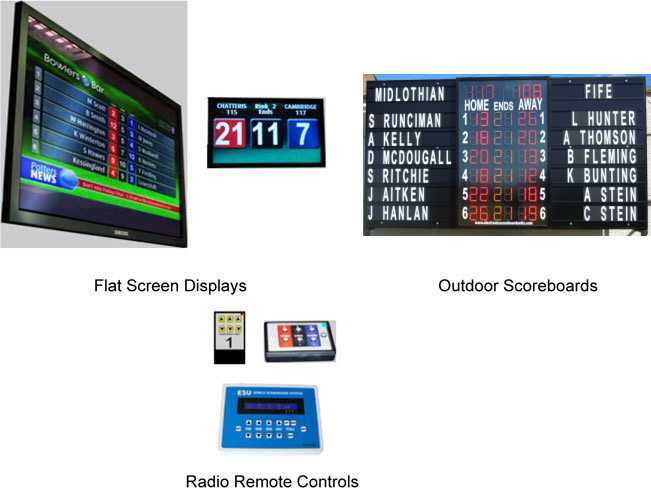 These range from our simple to use stand alone rink end scorers to custom models with the option of flat screen displays. Our outdoor scoreboards are housed in weatherproof enclosures with vandal resistant polycarbonate face and can be fitted with either LED or electromechanical digits.